Ranked #97 in our countdown of the 100 Best Hotels and Resorts in the World. British to the bootstraps, right next to Buckingham Palace, run by the same family for four generations, old-school, old-money. Dining is taken very seriously here, with English cuisine (steak and kidney pudding or beef from the trolley) and a cracker of a wine list. Afternoon tea is devilishly good – Earl Grey tea macarons, teensy ribbon sandwiches (take it in the lounge or the lovely garden). 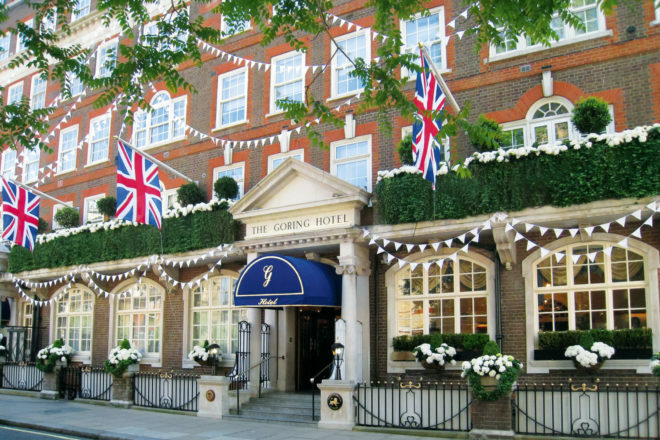 Did you know Kate Middleton stayed here the night before the royal wedding.